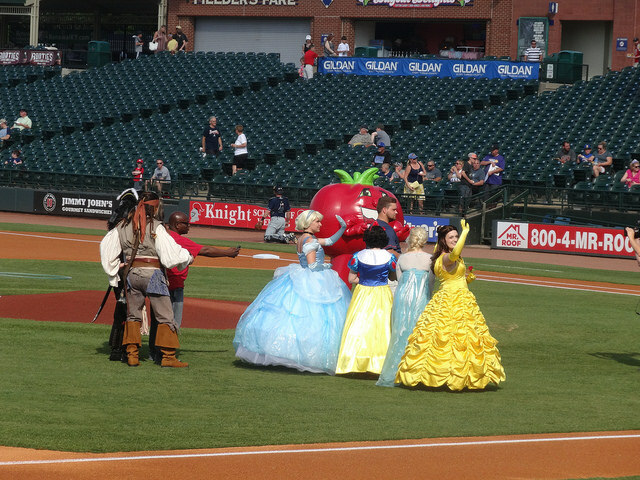 Louisville Slugger Field-Louisville, KY: Another beautiful day at the ballpark, and this time we had Pirates and Princesses on hand to entertain the kids. Lily went through a Disney princess stage when she was younger, so I’m familiar with Belle, Snow White, Cinderella, but I don’t know the name of the newer one, the Frozen one. 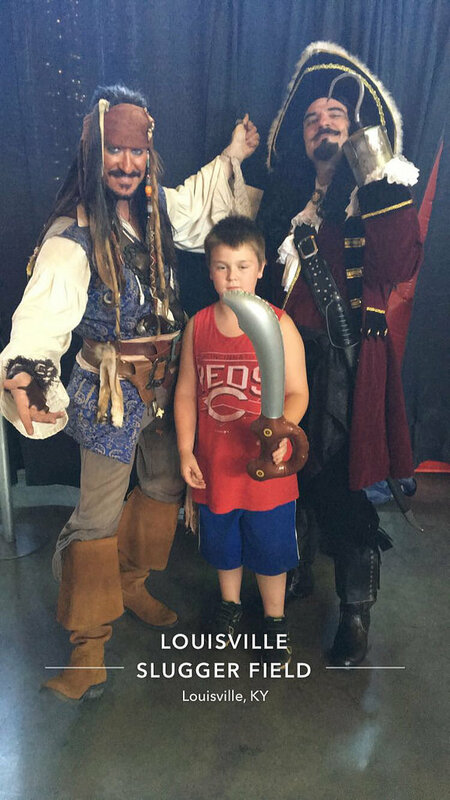 As far as the pirates go, Captain Jack Sparrow and Captain Hook were there for some looting and pillaging. 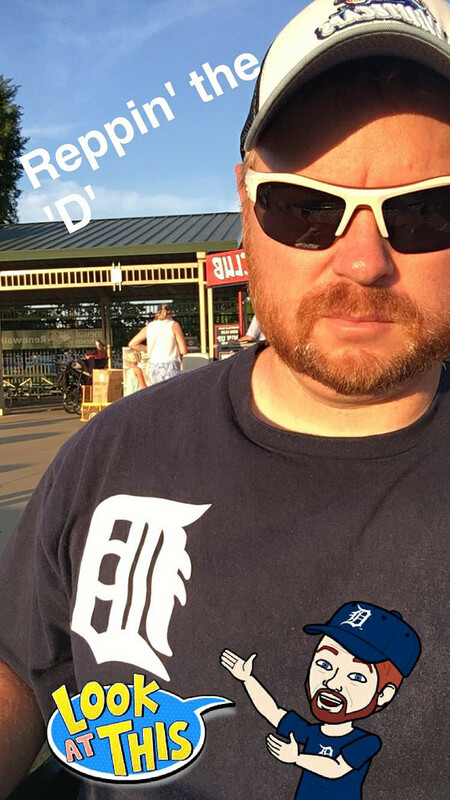 The Bats were hosting the Tigers’ Triple-A affiliate, Toledo Mud Hens, so my allegiance was a little torn. 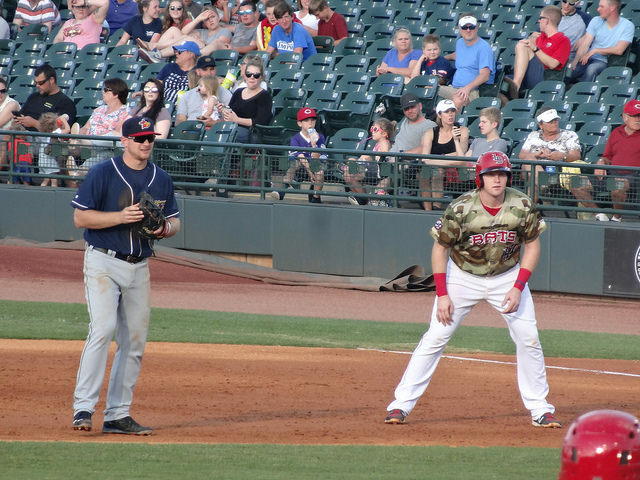 The Mud Hens, however, jumped out to an early 5-0 lead in the first inning, and really never looked back. 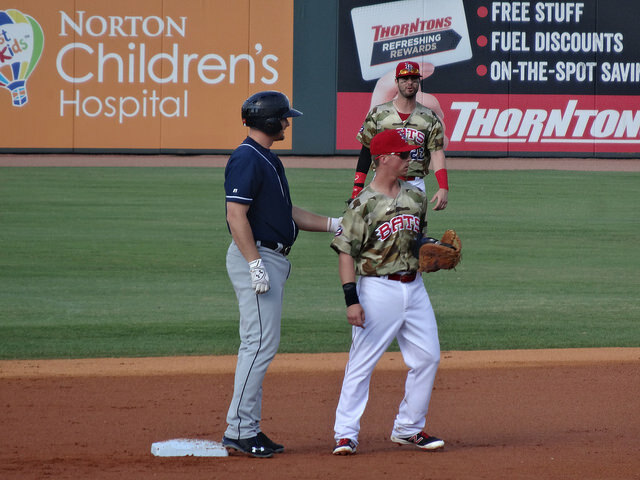 Tyler Collins hit a three run blast to help the Hens out in that first inning, as Toledo sent all nine hitters to the plate. For the Bats, Dilson Herrera answered with a two-run homer of his own to cut into the lead in the second inning. 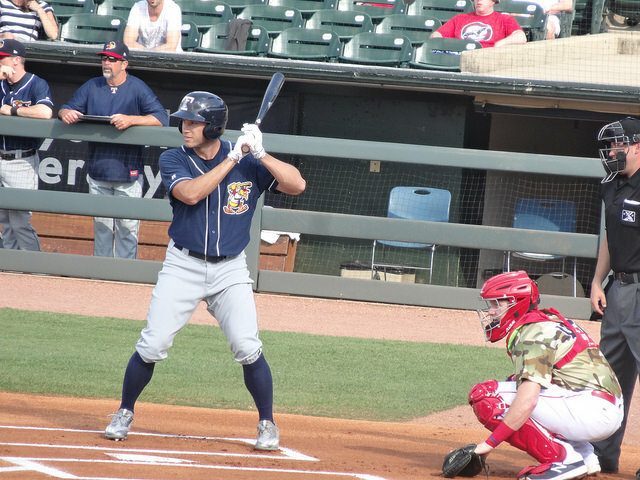 In the fourth inning, and Matt den Dekker triple, a JaCoby Jones double, and a Bats’ error restored the five run lead for the Mud Hens. That was about it for the offence in the game, so Brian and I went to meet the pirates. Lucky for us, the line was a lot shorter than the one for the princesses. On the mound for the Bats, Sal Romano took the loss, throwing five innings and allowing seven runs on 10 hits. Matthew Boyd got the win for Toledo, pitching six innings and giving up two runs on five hits while striking out five. 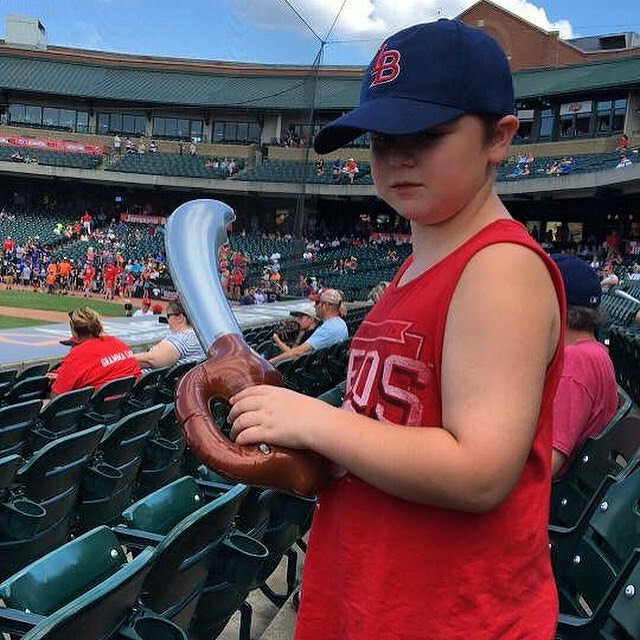 FINAL: Bats 2, Mud Hens 7.